When it comes to labels, Republic Records came out on top, landing the most songs in the Hot 100 Top 10 (22) and the most #1 hits (5). Hip Hop dominated the Hot 100 Top 10, both as a primary genre and as an influence across genres. Over half of the Top 10 songs had multiple lead vocalists and featured a combination of sung and rapped vocals. Interestingly, while the majority of the year’s songs were in a minor key, over half of #1 hits were in a major key. 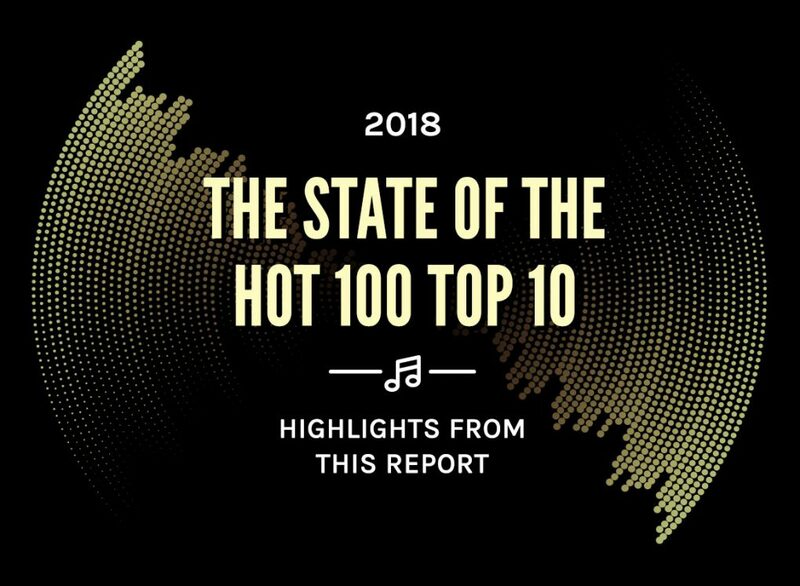 Next week, Hit Songs Deconstructed will release its year-end trend report, The State of the Hot 100, which will take an in-depth look at the compositional and industry related trends for the Billboard Hot 100 Top 10. What songs charted in the Billboard Hot 100 Top 10 in 2018?